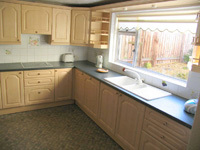 Island View is located in Spittal, just a stone's throw from Berwick-upon-Tweed. 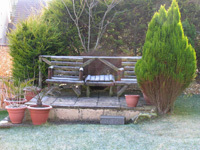 This four bed roomed Berwick-upon-Tweed self-catering holiday home is new to the market for 2009. 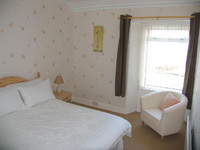 It has been lovingly furnished and decorated by Sharon and Kevin Richards to a very high standard, and has everything you need for a fantastic Berwick-upon-Tweed self-catering holiday. Berwick is a lovely historic Border town, with a proud heritage. It has been fought over by the Scots and the English for many centuries, and has remained English since the 15th century. The Elizabethan fortifications surrounding the town, are still in an extra ordinarily good state of preservation, however the castle was demolished to make way for the train station in the 19th century. The accommodation at Island View comprises a large lounge, dining room, kitchen, cloakroom, bath room, a double bedroom, a twin bedroom and two single bedrooms. The four bedrooms are all exceedingly well furnished for your comfort, and are very tastefully decorated. The bathroom has both a separate shower and a luxurious Jacuzzi bath. Down stairs the kitchen is well appointed with a hob, oven, microwave, fridge freezer, and dishwasher. You will also find a washing machine and clothes drying facilities. The dining room has superb views of the holy island of Lindisfarne, and the Elizabethan ramparts of Berwick-upon-Tweed. The large and spacious lounge has a fire for relaxing in the evenings, TV with Freeview, and a DVD and CD player. Go through the patio doors to the lovely well-maintained garden, with a lawn and a patio. What better way to spend an evening than in the garden with a barbeque, planning the next day's adventures. Please note smoking is not permitted inside the premises. Pets are welcome at Island View prior to arrangement. There is plenty to see and do in the local area, including; visiting historic castles, stately homes, gardens, walking, cycling, fly fishing, fresh water and sea angling, bird and seal watching, boat trips, horse riding, quad biking, climbing, swimming, diving, or just relaxing on the beach. A truly delightful and accommodating brand new Berwick-upon-Tweed self-catering home, Island View and Beach View are next door to each other, and so can accommodate large parties, or two families holidaying together. All linen is included in your stay, and a welcome pack awaits you on arrival. Pets are welcome at Island View prior to arrangement. Smoking is not permitted inside the buildings.